We are looking for experienced individuals to volunteer their time as members of our LGB. Students and staff at Landau Forte College are celebrating another strong set of GCSE results today. The percentage of students achieving a grade 4 or above in both English and maths, using the new 1-9 measures, was 72%. For English alone, 84% of students gained a 4 or above – equivalent to the old ‘C’ grade – and 77% achieved the same for maths. This remains in line with the strong improvements on the equivalent measure that the College achieved in 2016. 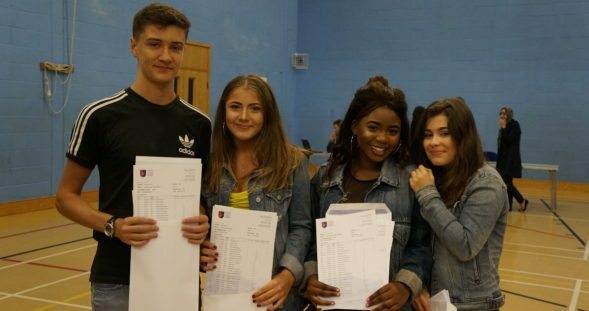 More students also achieved the top grades of A* or A, or 7-9; this figure increased 10 percentage points from 18% in 2016 to 28% this summer. “Our students can take genuine pride in their results today as a fitting reward for all their hard work and dedication over the past two years. Thanks are also due to staff across the College, whose efforts and ongoing support have really made a difference in the achievements and aspirations of our students.